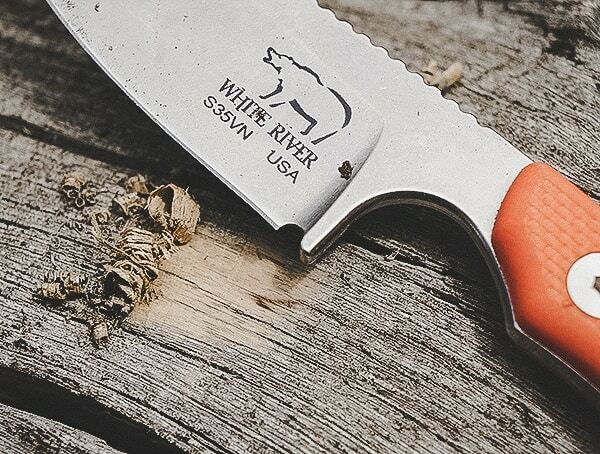 With a name as mighty as the river it is named after, White River Knife and Tool, Inc. produces stunning, high-quality outdoor knives. Based in Fremont, MI this is a small family owned and operated outfit. 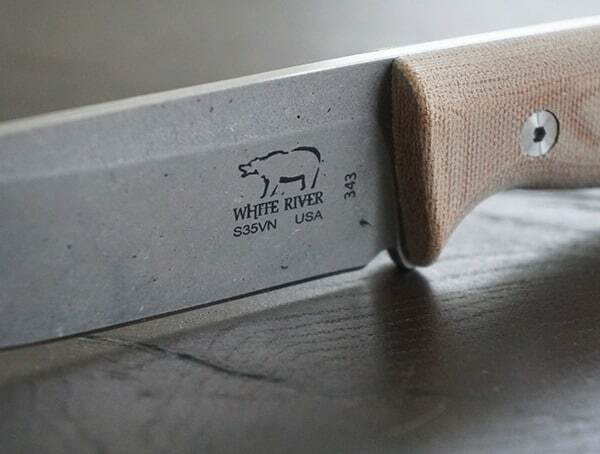 At White River Knife and Tool, the customer experience is the central point of focus. 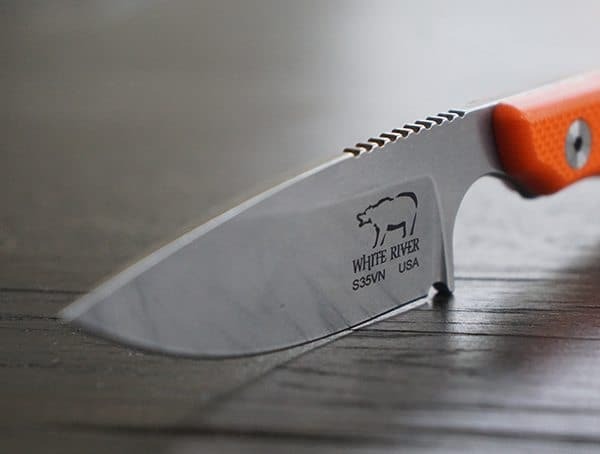 Using premium materials as well as a wealth of experience in the manufacturing industry, White River is able to deliver what so many knife makers cannot. 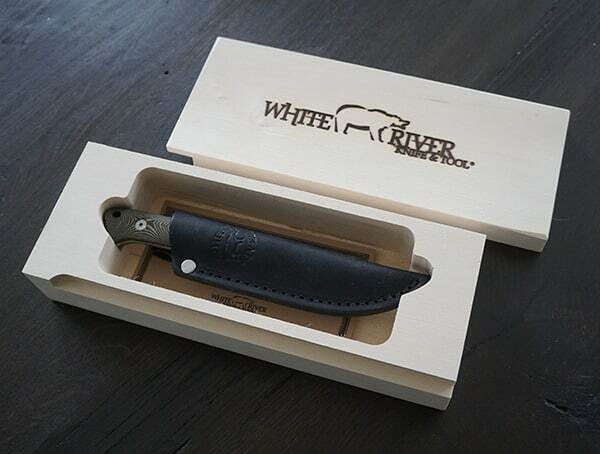 When you pick up a White River knife, you can feel the quality of the high-grade materials as well as the craftsmanship behind the blade. 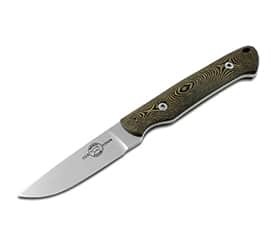 Not only do they utilize made in the USA materials as much as possible, but they also manufacture here with American labor. 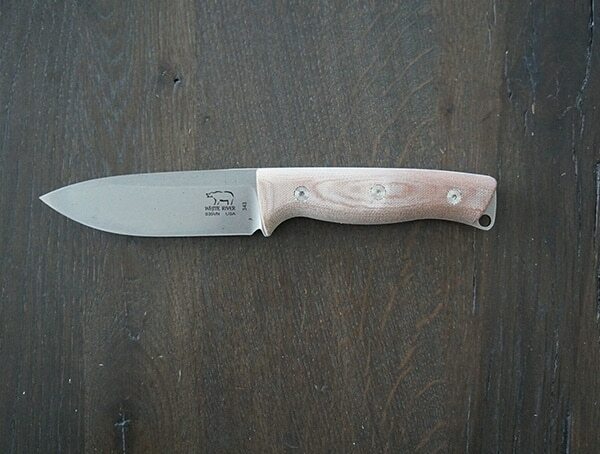 From fire starters to backpackers, anyone who is avid about the outdoors will find a place for these excellent knives. 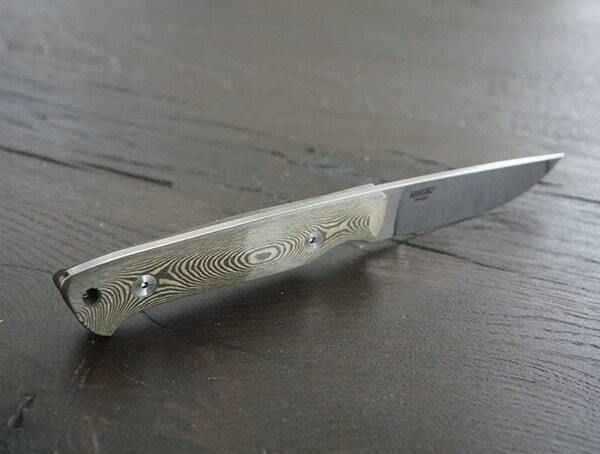 If you use micarta, G10, cork, wood or parador scales then you will not be disappointed at their product lines. 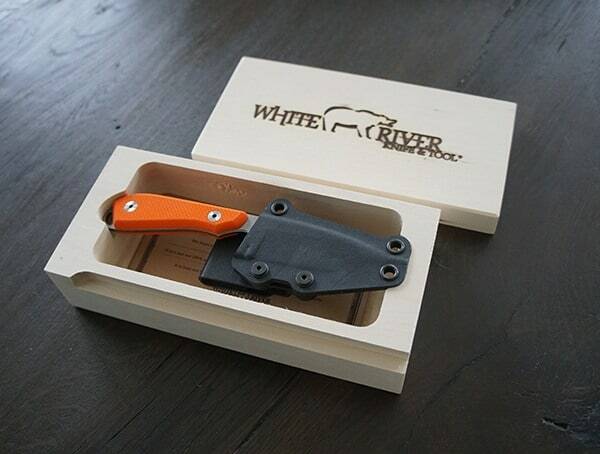 On the off-chance you are somehow dissatisfied with a White River Knife and Tool piece, they will happily exchange or repair free of charge to you. A guarantee which is not seen commonly in today’s age, this policy alone is worth the purchase price. 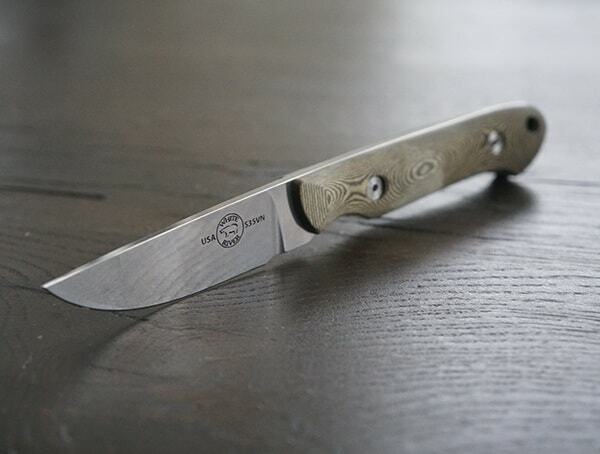 If you are looking for an outstanding quality blade, then look no further. 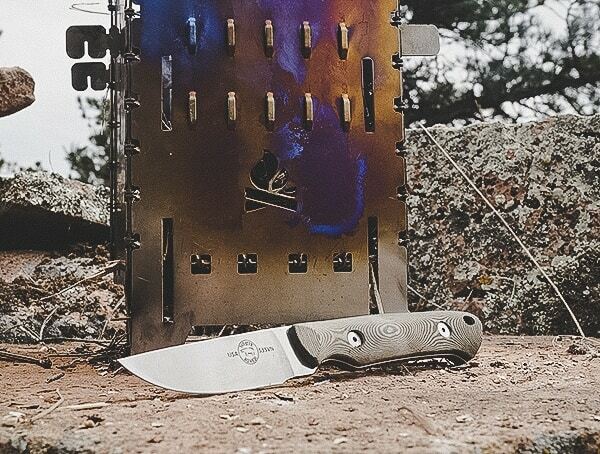 We had a great time field testing and reviewing some of their latest and greatest models. 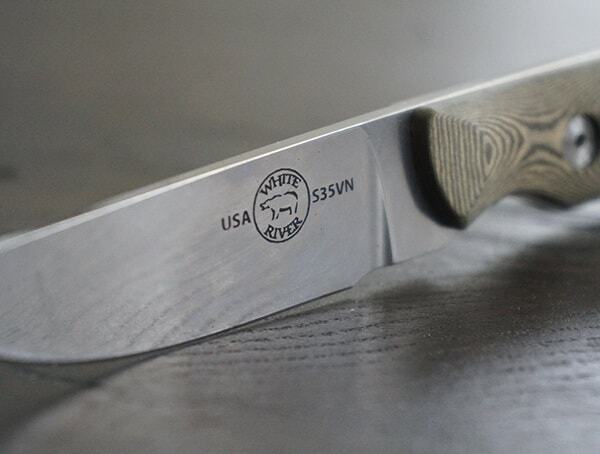 Check out our thoughts and details photos of these amazing knives below. 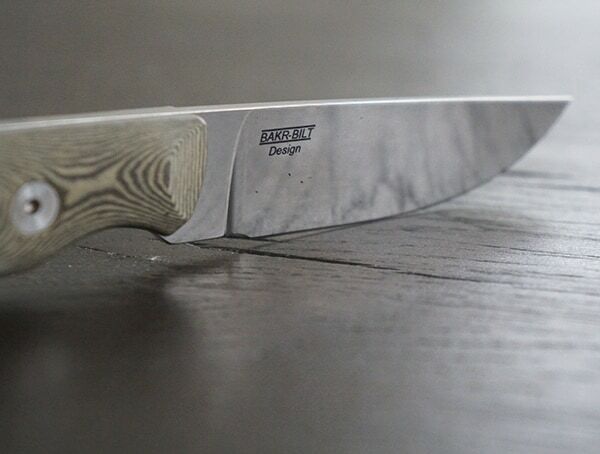 These are some very sharp knives! 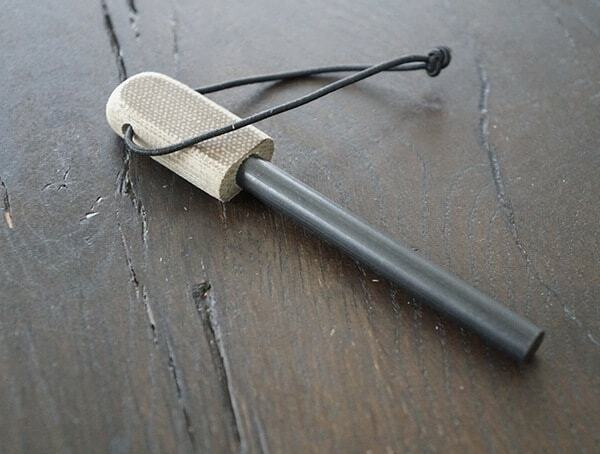 – Handle options include Black and Olive Drab Linen, Natural Canvas, Black Canvas, and Olive Drab Canvas Micarta. 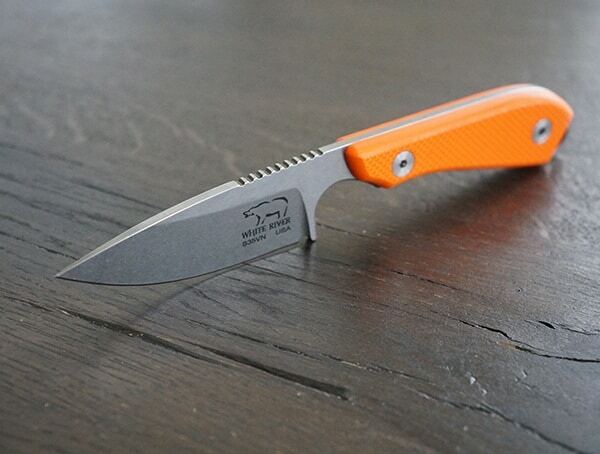 The White River Knife & Tool Ursus 45 is one bad to the bone, workhorse of a knife. 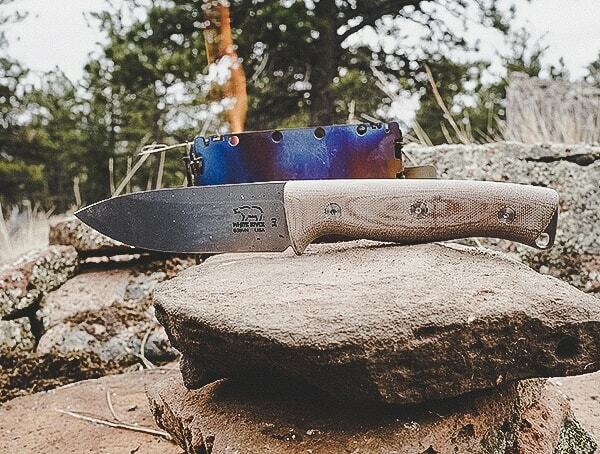 If you love camping, backpacking, and testing your skills out in the wild, well, you’ve found one of the best bushcraft knives out there to own. 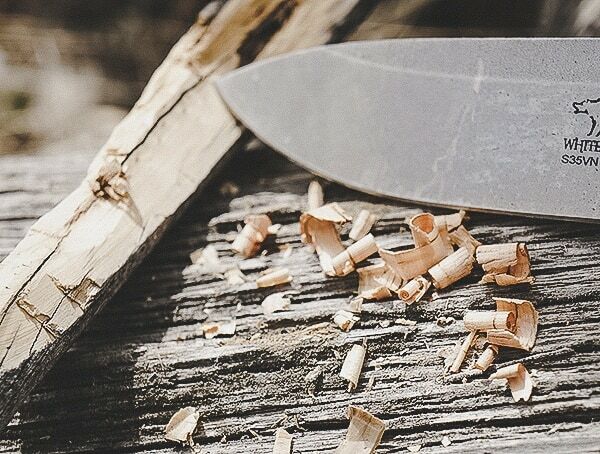 Cut up large branches into perfect wood for the fire. Build your own shelter if needed. 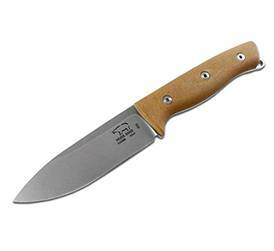 The Ursus 45 helps with bringing down palm leaves, shaping sticks, and cutting rope. 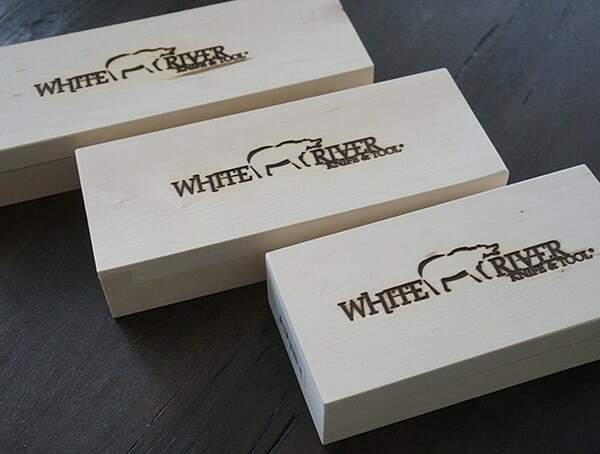 Let your artistic side come out and carve something out of wood while you wait for the fish to bite. Or while you wait for the unsuspecting rabbit because the fish didn’t bite and you’re starving. 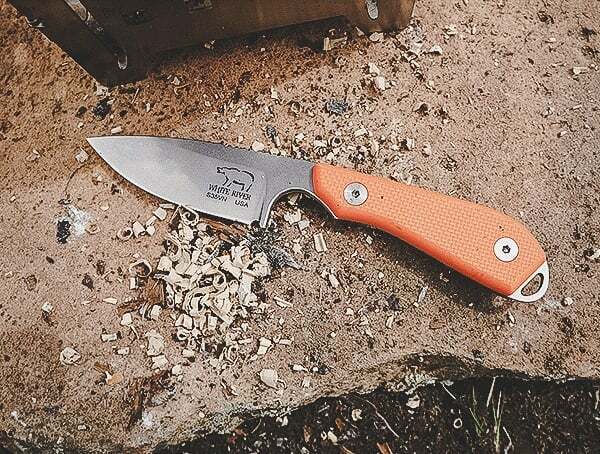 Regardless of what you use it for, this trusted friend is always willing to help get you out of tight spots when you’re roughing it in the wilderness. 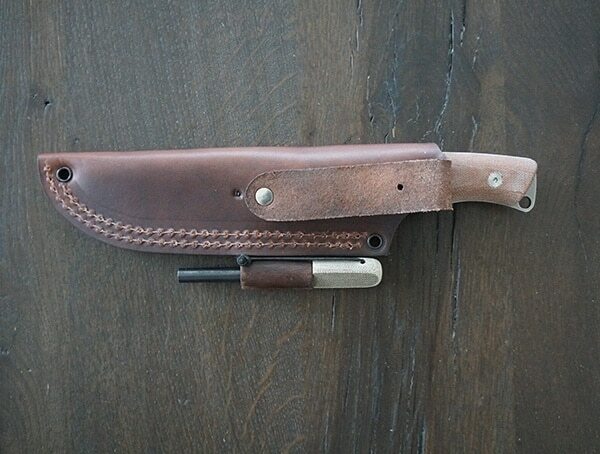 You’ll feel like Clint Eastwood as you put it into its incredibly durable leather sheath. 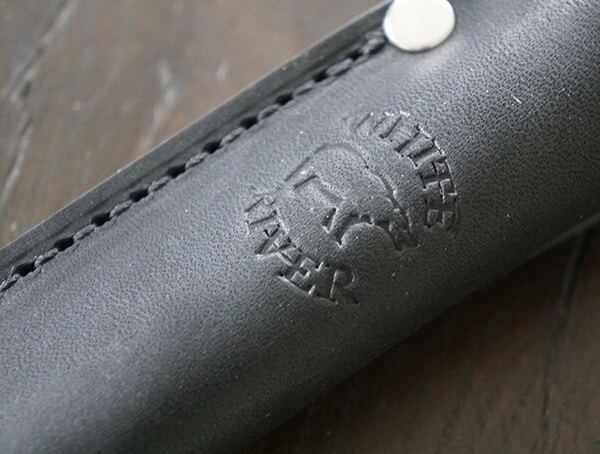 I love that the sheath offers more than just protection. 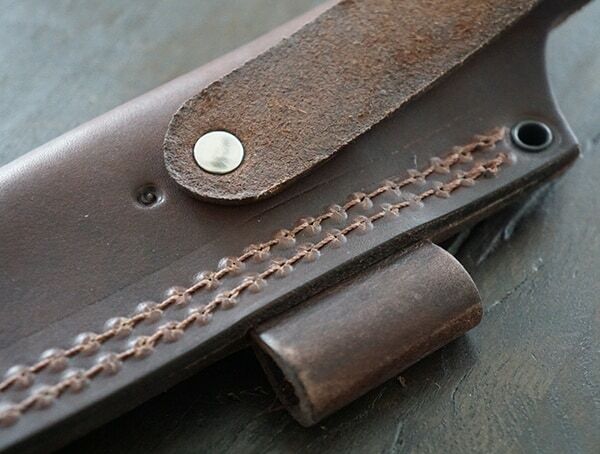 On the side you’ll find an included ferro rod with its own integrated housing on the leather sheath. 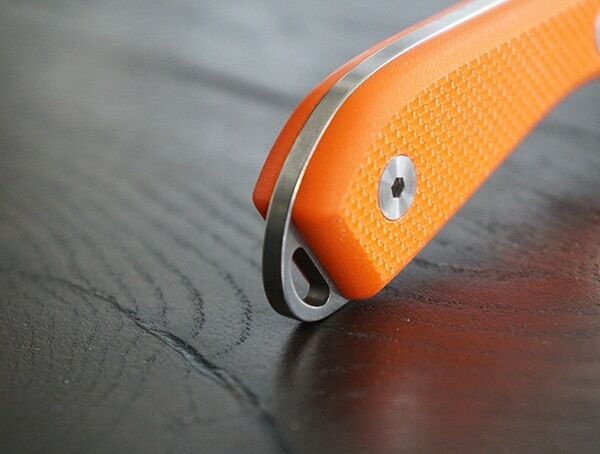 An ergonomic handle design makes the knife very comfortable to use. No sore hands after one task completed. 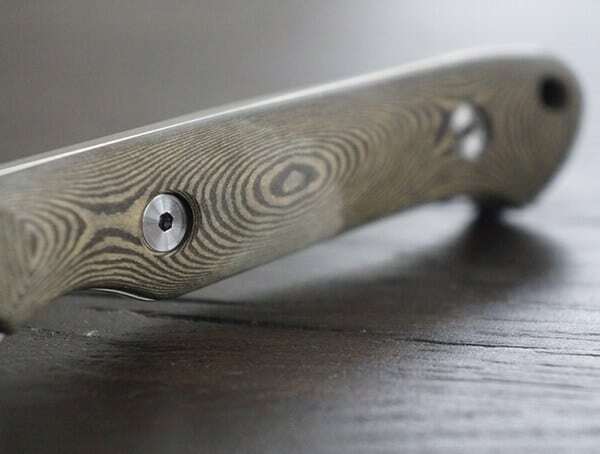 Personally, I’ve found the profile of the handle to be exceptionally comfortable, even after putting the knife up to some serious abuse. 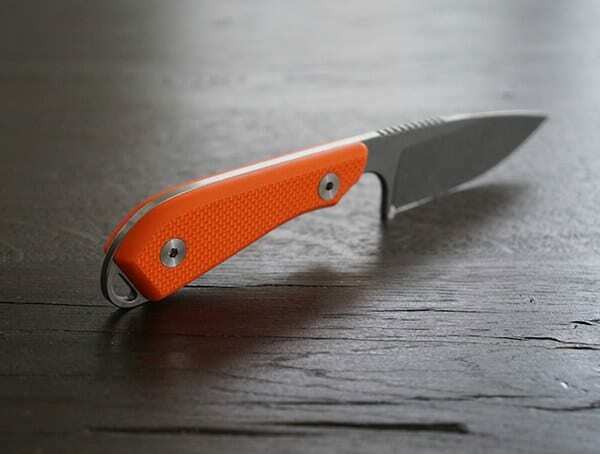 For the blade steel, White River Knife and Tool has chosen to go with CPM S35VN. 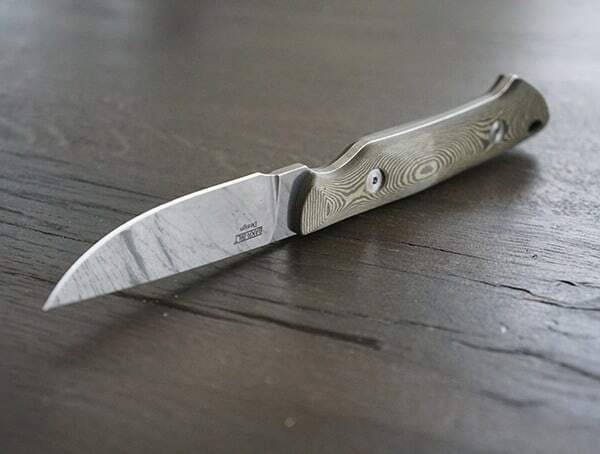 For the tasks at hand, this is my go-to favorite. 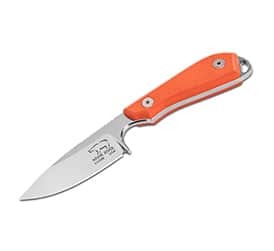 With a blade length of 4 ½ inches and an overall length of 9 ½ inches, you’ll feel confident in its durability and effectiveness. 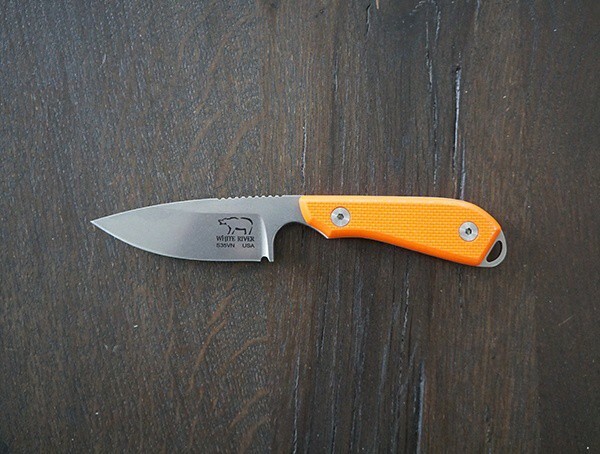 The Ursus 45 boasts a .158 thickness. 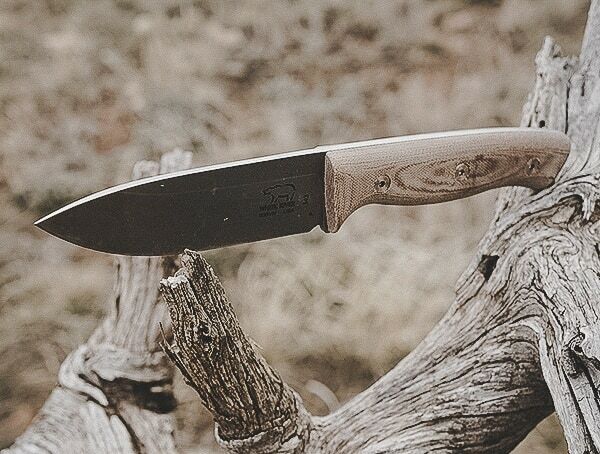 If you know about knives, you’ll understand how important it is to have a blade that doesn’t bend or loosen because it doesn’t have the sturdy toughness needed to do the job. 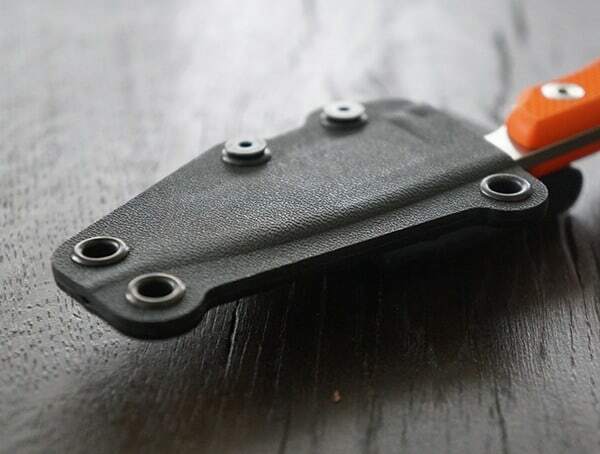 This blade’s hardness is 58 to 60 HRC. 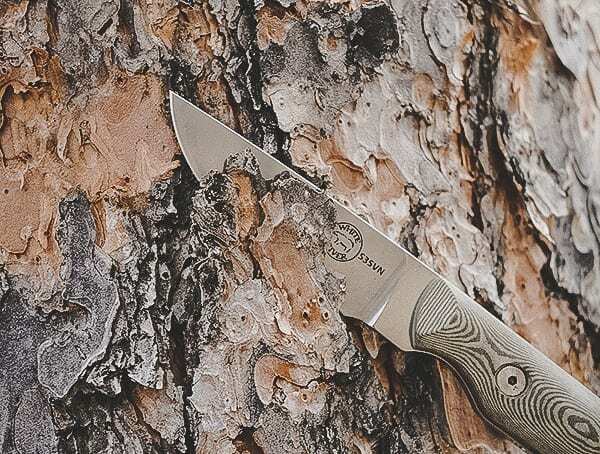 It cuts through the toughest bark, just about anything short of rock without injuring your Ursus 45. 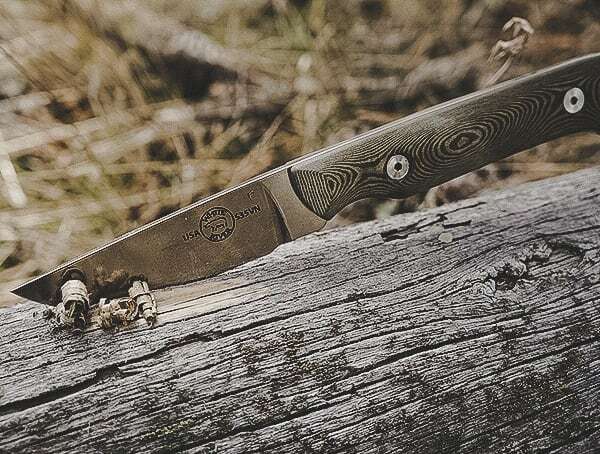 Enjoy one of five Colors for the handle that best matches your wardrobe or tastes: Black and Olive Drab Linen Micarta that goes with your camouflage attire. 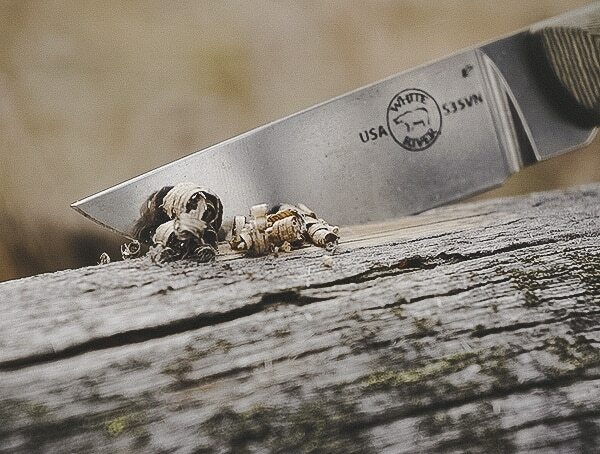 Natural Canvas Micarta that also blends in nicely with nature. 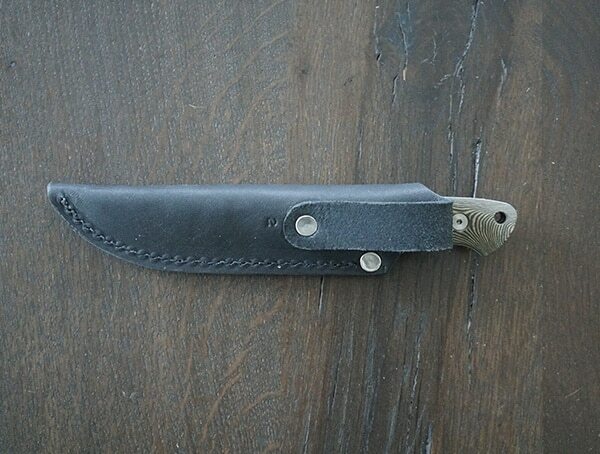 Black Canvas Micarta for the bold, fierce, classic look. 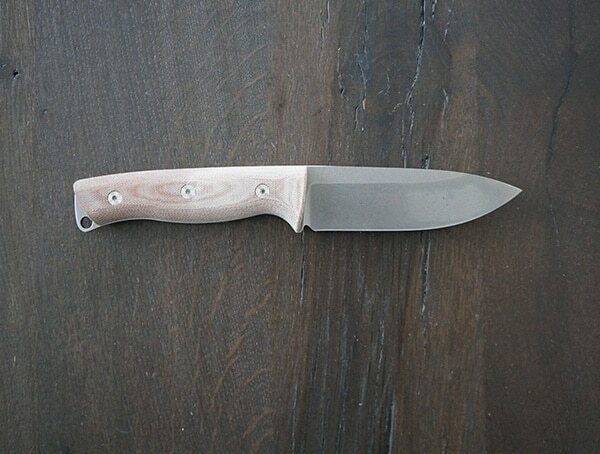 Olive Drab Canvas Micarta, as peaceful as the trees surrounding you. 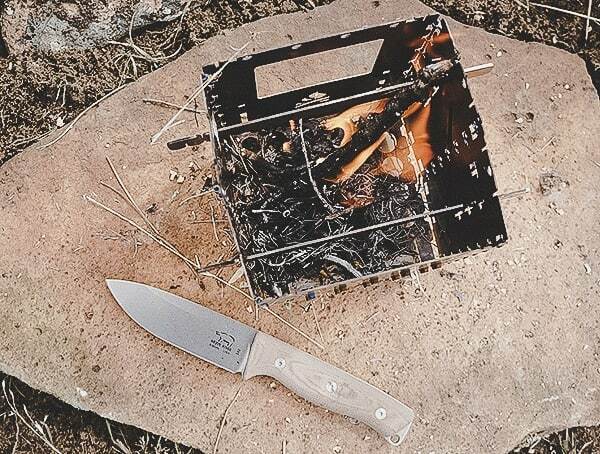 No need to hesitate to own your own Ursus 45. 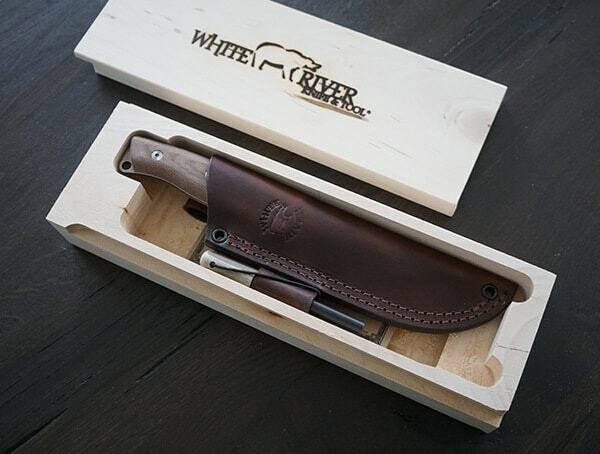 White River is so confident you’ll love the knife that you can send it back if you don’t like it, or pay nothing for any repair needed. 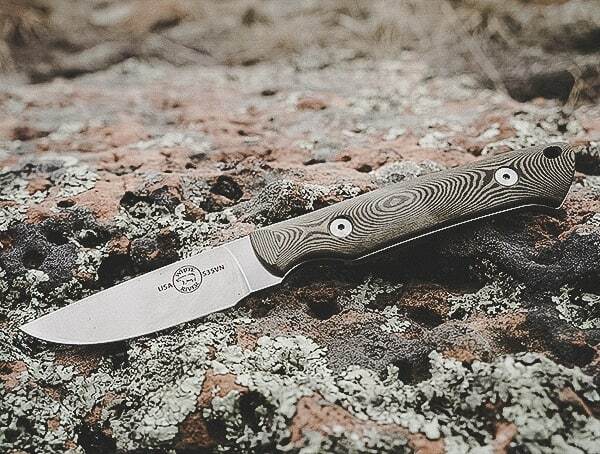 With the remarkable level of craftsmanship, beautifully durable/sharp blade, and American made quality, the Ursus 45 is simply put, one of those pieces of gear that you’ll want to treasure for life. 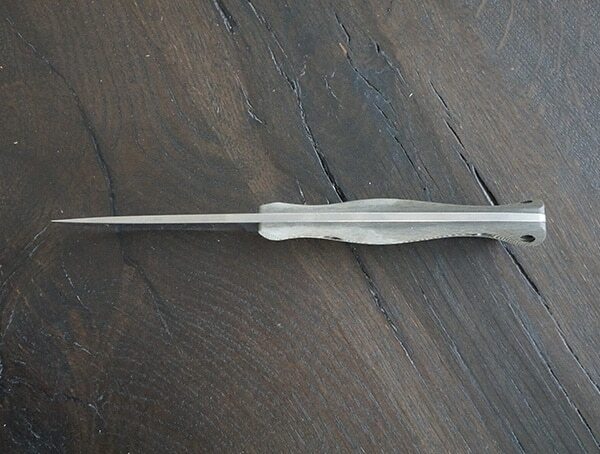 Use it to filet the fish you catch. 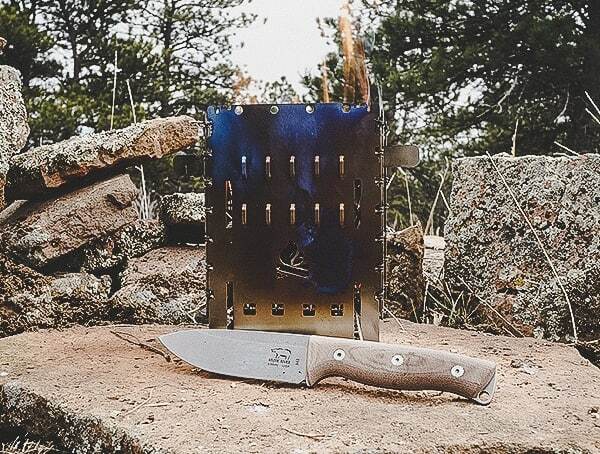 When you need to dress small game like rabbit and squirrels, this knife gives you excellent maneuverability to prepare your delicious dinner by the campfire. 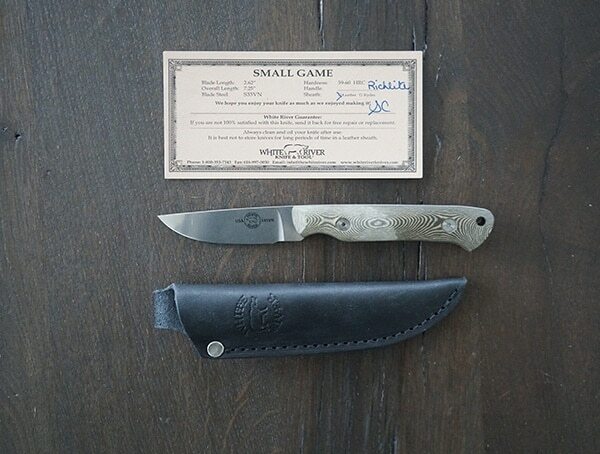 Don’t be afraid to use it for larger game, either. 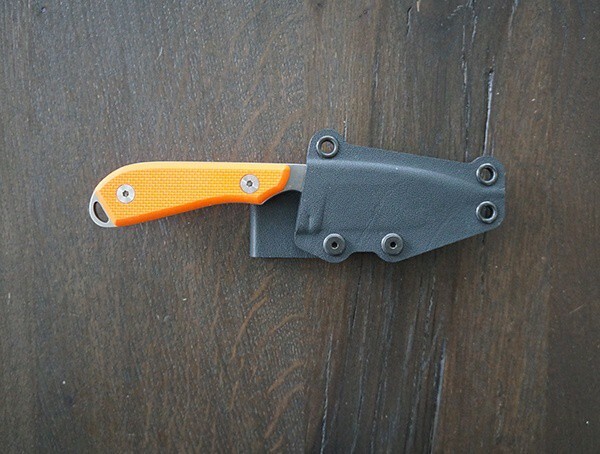 It can do the job remarkably well. 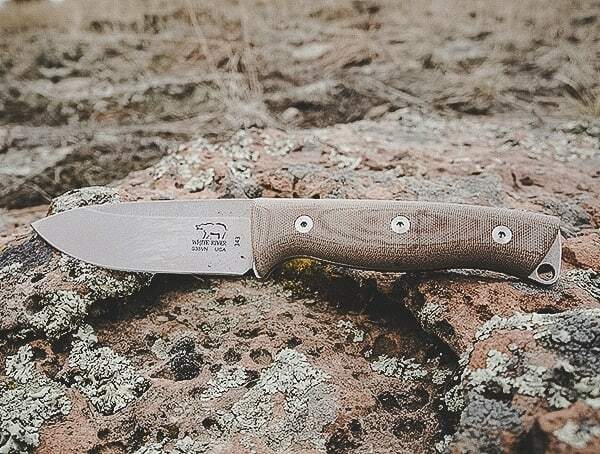 For the delicate work involved in dressing wild game, it has a lighter thickness of .130 inches and a blade length of 2.62 inches. 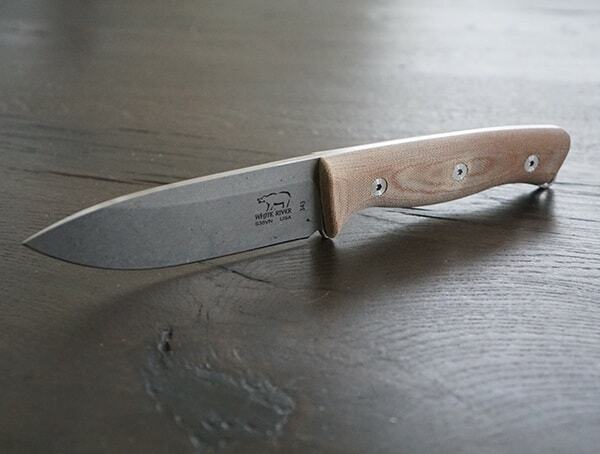 Overall, it’s 7.25 inches and easy to manage. 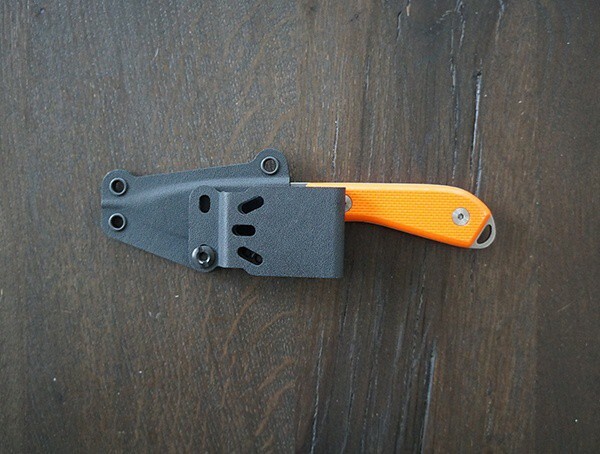 You can use it to cut some sturdy branches or rope when you need extra assurance your tent isn’t going to blow away during the unexpected strong winds rolling in. 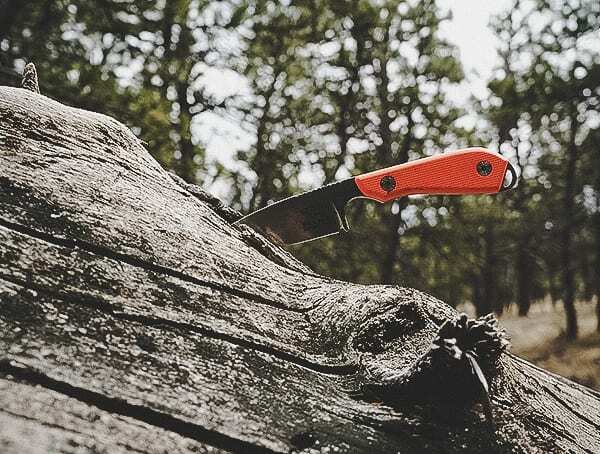 Larger than a pocket knife, it’s easier to handle in the hands for any task without having to tug and work harder to complete it. That means fewer accidents, too. 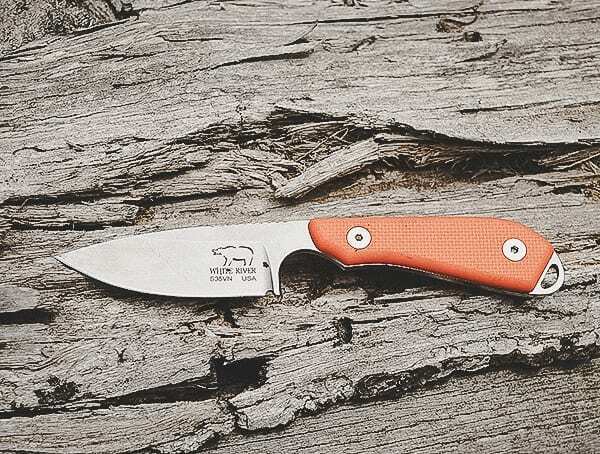 Designer Owen Baker Jr. designed the small game knife as part of the Bakr-Bilt series. 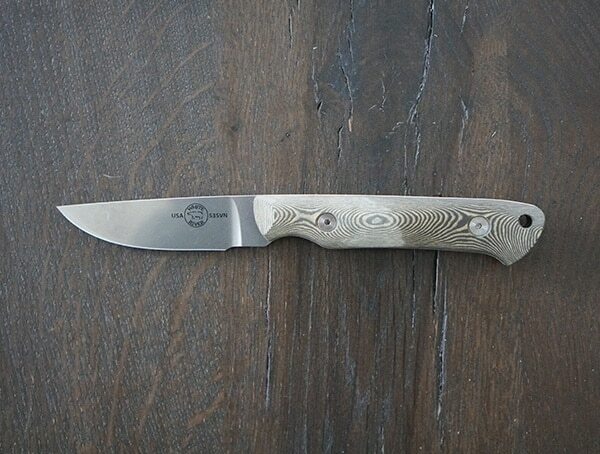 If you’re not familiar, he’s a retired Air Force flight colonel who has been perfecting the art of crafting impeccable knives for close to twenty years. 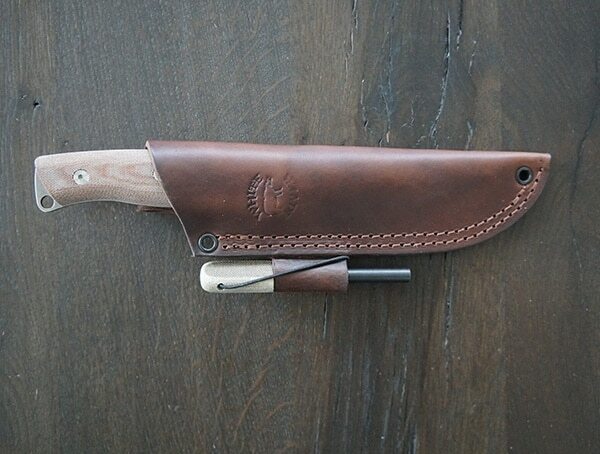 In addition, the the White River Knife & Tool Small Game knife itself, you’ll also find a beautifully well-made leather sheath for storage and ease of carry. 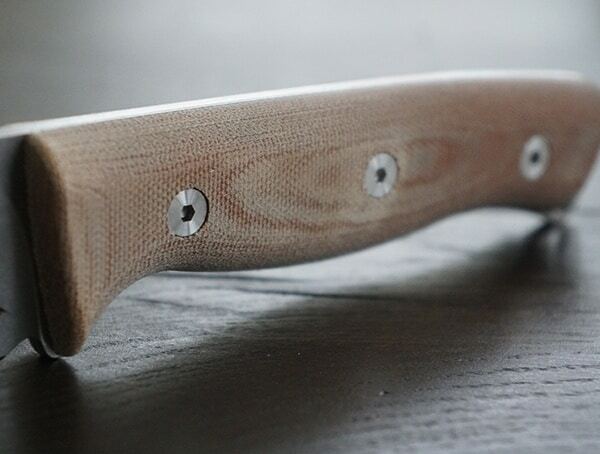 Choose from these attractive color schemes for your handles: Black & Maple Richlite with a stunning natural, forest inspired appearance. Red & Black Richlite which features a daring and confident look. 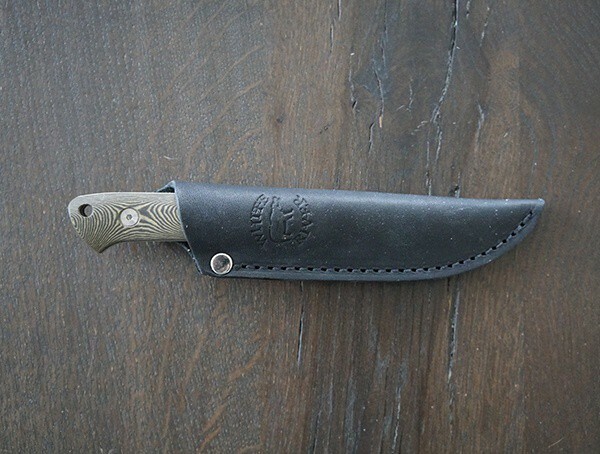 Black and Olive Drab Linen Micarta for a natural, yet bolder style. 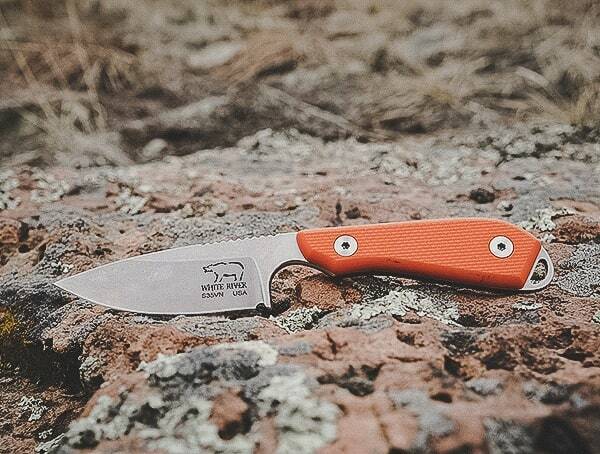 Meet the White River Knife and Tool M1 Backpacker Pro, or as I like to call it, the most versatile knife you’ll ever own. 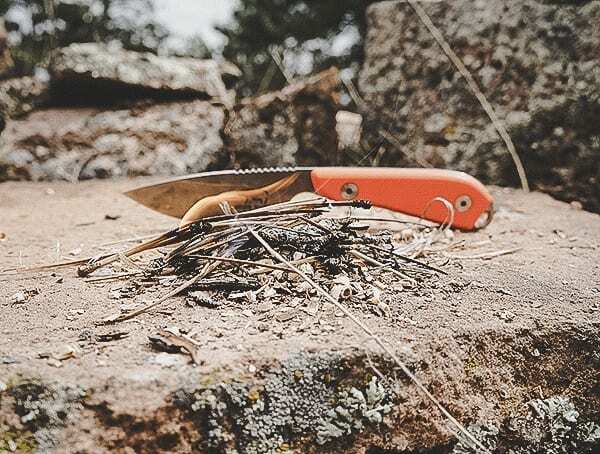 From hunting to survival, the M1 Backpacker Pro packs a serious punch when it comes to performance; all in a remarkably small profile. 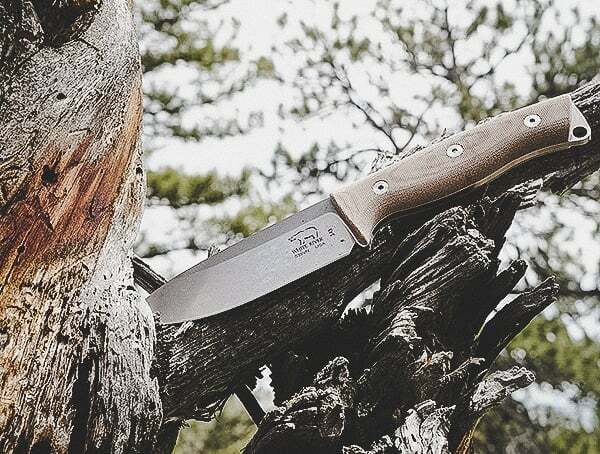 With an overall length of seven-inches and a three-inch CPM S35VN (58-60 HTC) blade construction, this fixed blade knife features the perfect size and strength for just about any activity you can imagine. 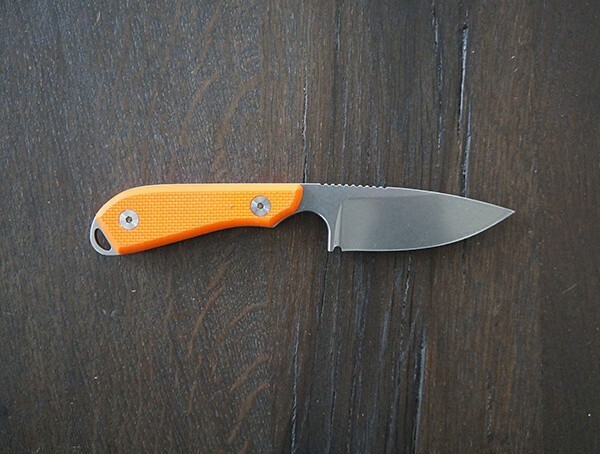 I took mine camping, hiking, used it as an EDC knife, and practiced a handful of survival scenario tasks. 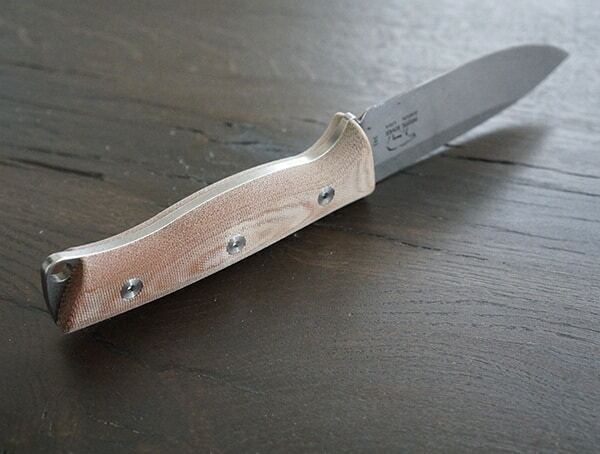 No matter what I threw at this knife, it managed to impress me over and over again continually. 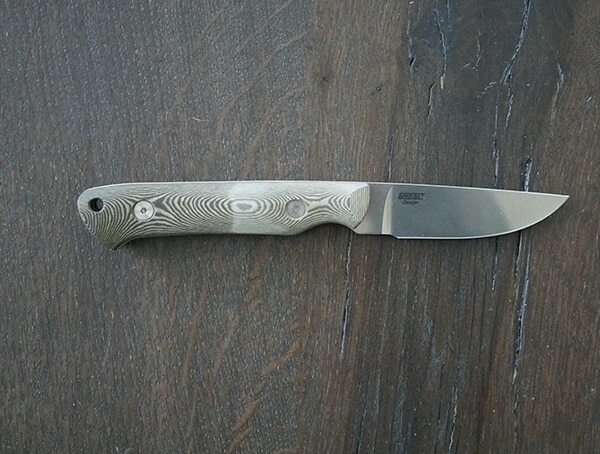 Even in wet environments, I found myself loving the super grippy nature of the textured G10 handle scales. 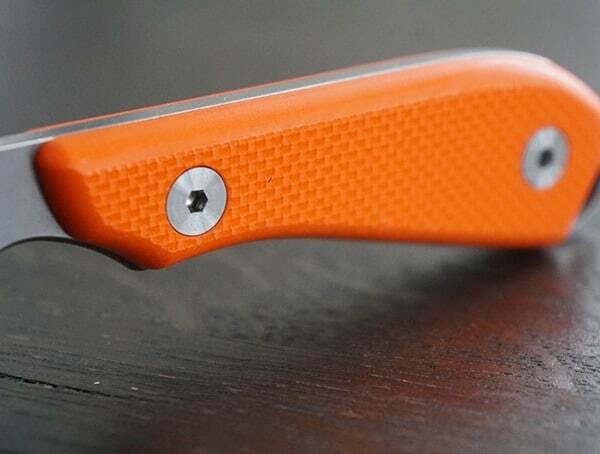 Speaking of which, the handles come in two options: orange textured G10 or black. 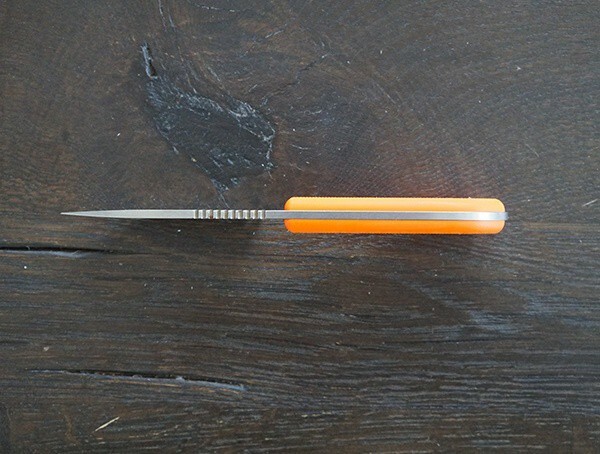 Regardless of which you choose, both come pre-fastened with long-lasting, stainless steel bolt hardware. 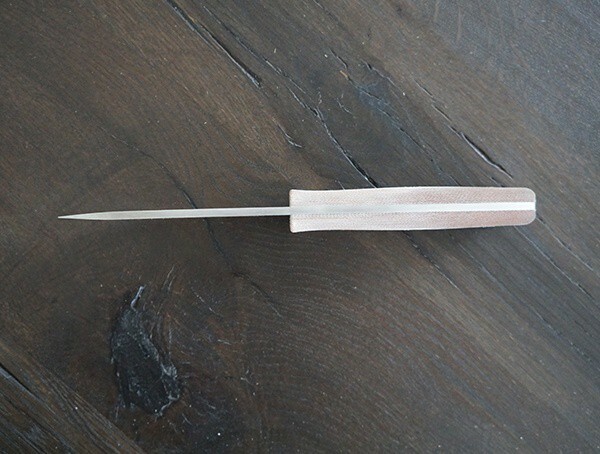 You’ll also find a high finger choil that offers an ample amount of comfort while working through various cutting tasks. 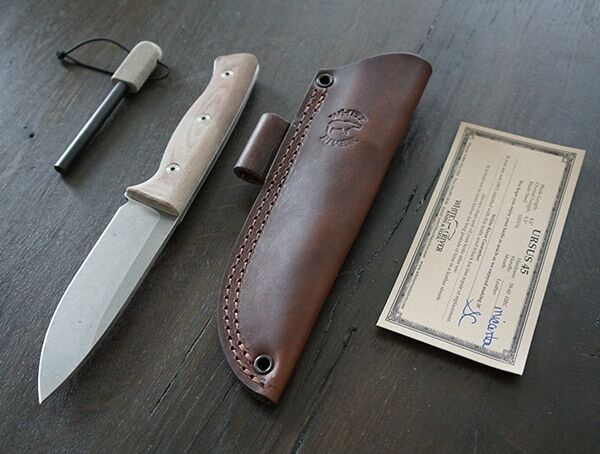 Other highlights include the stonewashed blade finish with a razor-sharp leather honed edge. 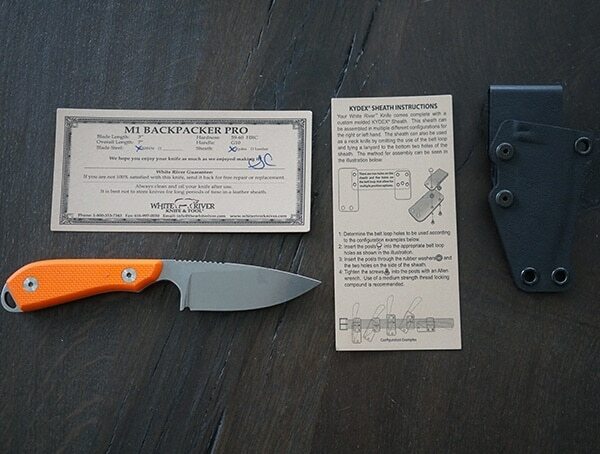 To carry the White River Knife and Tool M1 Backpacker Pro around everywhere, you’ll also find an included Kydex sheath which features a handy belt loop attachment. 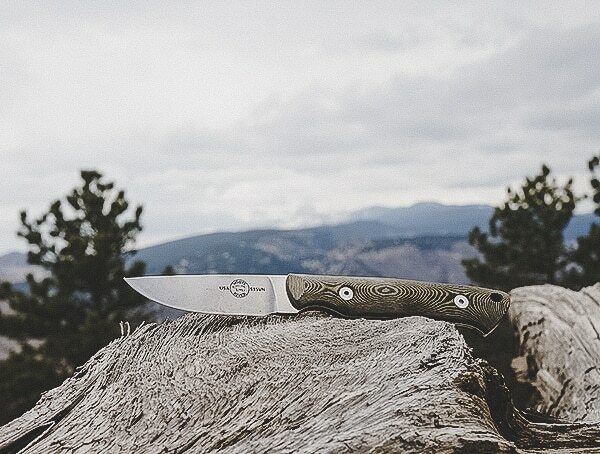 If you’re looking for a compact fixed blade knife that you can add onto your pack, or put into your pocket/belt, the M1 Backpacker Pro will definitely keep up with any adventure you can throw at it.